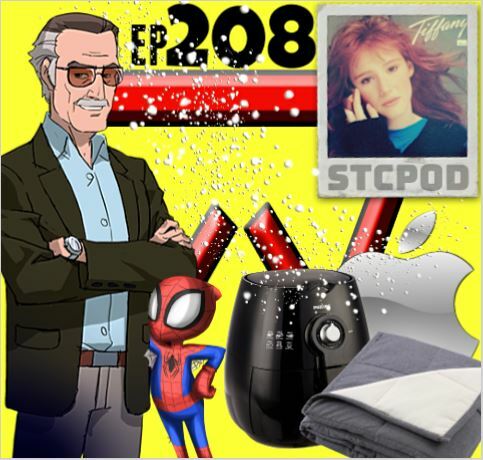 Start To Continue Podcast: STCPod #208 - Who's The Man! We're back with a much more happier episode this week. We're watching "bad shows" on TV, recounting some listener comments from last weeks show. One of us appears on Dollar Dorks. Bill gets snowed in his driveway. When is it a good time to trade your vehicle in? Joe's dishwasher breaks. Bill goes on a spending spree and gets an air fryer, and a big baby weighted blanket. Some more thoughts on Mini systems, picking up a vintage TV, protective cases for protective cases. Some icons pass away and this time it's Joe's computer goes to sleep during a record. Enjoy! !